The Polycom VVX 600 phone is built for executives and managers who need a powerful, yet intuitive, expandable office phone that helps them stay connected to lead your organization. Founded on the behavior common to smartphones and tablets, the intuitive gesture-based, multi-touch user interface of the VVX 600 phone makes navigation easy and requires minimal training. With its combined ergonomic design, Polycom® HD Voice™ quality and a large, high resolution colour, multi-touch screen, the VVX 600 Business Media phone is ideal. Give your executives and managers the best unified communications (UC) experience and the industry’s highest quality Business Media phone. Designed for a broad range of environments from small and medium businesses to large enterprises, the VVX 600 improves personal productivity by complementing the workplace applications on their computer. Users can view and manage their Microsoft Exchange Calendars, receive meeting reminders and alerts, access the corporate directory and Instant Messaging/ presence status right on their phone display, even while waiting for their PC to boot. They can also extend their PC’s desktop to include the VVX 600 phone’s screen for mouse/keyboard navigation and interaction. The VVX 600 phone is easy to deploy and simple to manage through the Web-based, intuitive configuration tool. Its enterprise-grade Zero Touch Provisioning and server based configuration on large scale deployments as well as our redirection services, gives your administrators the ability to easily provision and maintain a large number of phones throughout the entire enterprise. The built-in, broad interoperability capabilities allow IT departments to leverage previous IT infrastructure investments and achieve easy integration with third-party UC and productivity applications. The VVX 600 phone provides personalized information at a glance, through built-in Web applications and a Digital Photo Frame. VVX 600 users access streaming content using the included video playback feature. 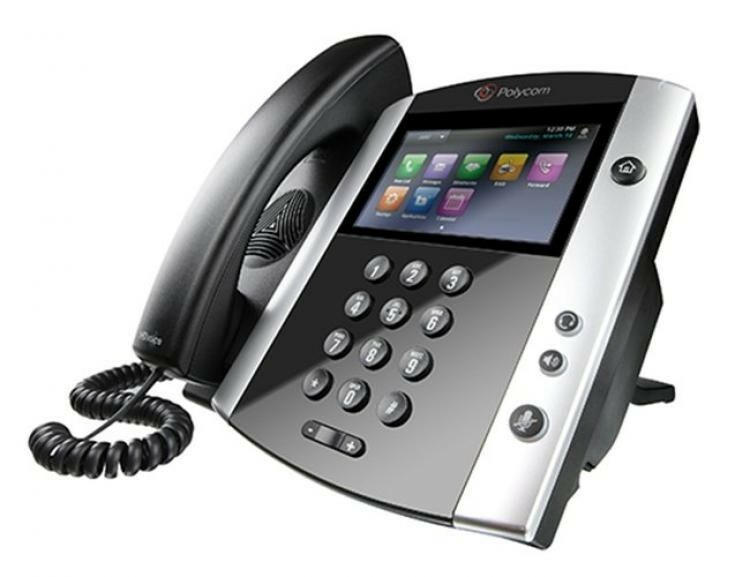 The VVX 600 phone comes ready for future expansion modules and applications such as video conferencing with the Polycom VVX Camera. The optional VVX Camera installs in seconds and enables the VVX 600 to connect into video conferences directly from the user’s desk, without requiring a costly, dedicated video conference room.